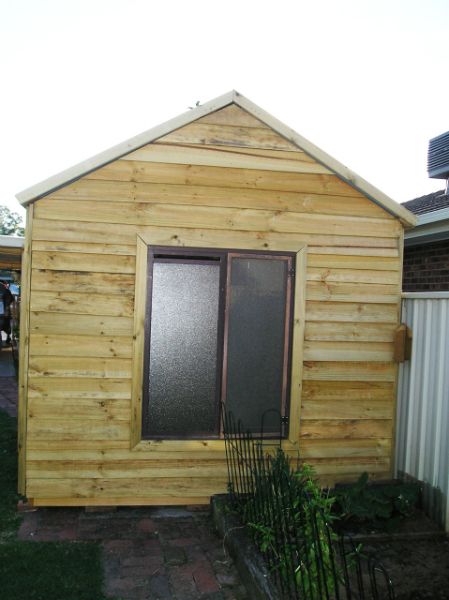 Solid Ceder Pine Tounge and Groove Door – 1800 X 800mm with Padbolt for only $290. Please note we have limited capacity available between now and Christmas. Contact us now to secure your timber shed. 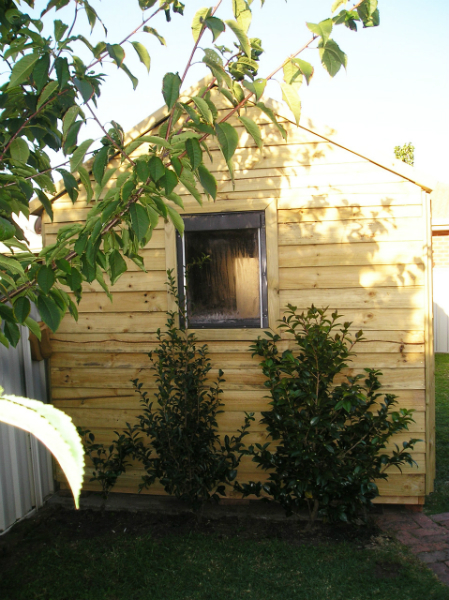 A Kidzone treated pine shed is an enhancement to any backyard or garden setting. 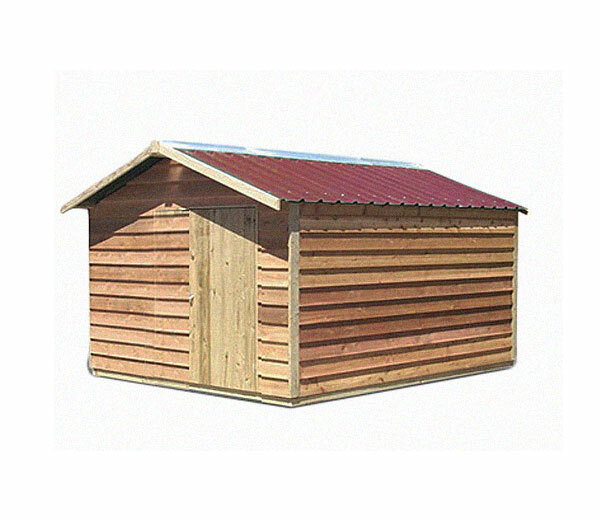 Like all of our wooden products, Kidzone timber sheds are designed and built to engineering specifications to be structurally sound and durable. They are manufactured from ACQ kid and pet safe treated pine with quality workmanship and stringent production control and offered at an affordable price, with friendly and professional service. 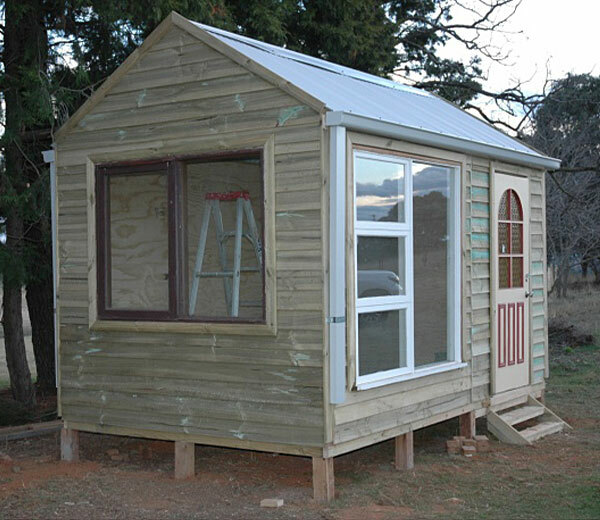 The entire range of timber sheds is available in prefabricated kit / flat pack form complete with timber and hardware to allow for easy construction by the home handyman. 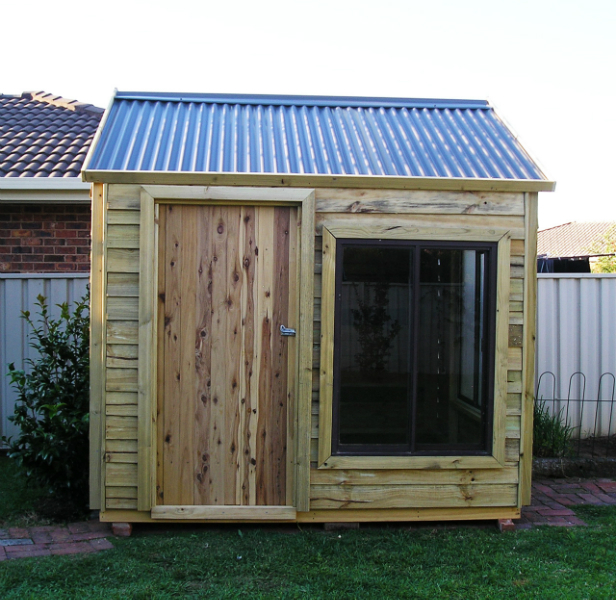 We can also undertake the delivery and full installation of your chosen shed if you desire. The timber garden shed comes complete with treated pine joists and yellow tongue floor, a 1.8 wall height and a single door. Double doors, timber or aluminium windows, guttering, internal lining, staining and polycarbonate corrugated sheeting skylight are also available. We can also customise our structure for you to fit your own doors and windows – quote available on request.